The causes of OCD and OCPD include both biological and psychological factors. Research has indicated genetics, stress and brain conditions could all be factors, but no one has pinpointed one definitive cause. Discover some of the reasons behind obsessions and compulsions, explore current research and discuss new findings with others. Compulsive hoarding or compulsive hoarding syndrome is the excessive collection of unnecessary items, and the inability to discard them. Read on for an insight into the causes of hoarding. If your child has recently been diagnosed with OCD, you may be feeling guilty that you somehow “caused” the disorder. Understanding what causes OCD in children can help you come to terms with how the disorder developed so that you can move on to working with your child on treating it effectively. New research into OCD causes continually yields the possibilities that biological factors and environmental influences interact with cognitive processes to cause OCD. Read on to find out more about environmental factors and OCD. Is OCD genetic? This question has bothered researchers for decades, but current research about the link between human genetics and obsessive compulsive disorder is clarifying the answer to this question. OCD, or obsessive-compulsive disorder, is a disease shrouded in mystery. How much do we really know about the causes of OCD? Gestalt therapy can play a pivotal role in the treatment of OCD. Learn how this therapy technique can teach patients with OCD to finally overcome their compulsions. What causes obsessions? There is no absolute cause associated with obsessions. Scientists however have pointed out several probable causes among humans. Obsessive-compulsive disorder, otherwise known as OCD, has numerous potential causes. Learn about some of the possible biological reasons for OCD, such as genetics, and find out the differences in PET scans between healthy individuals and those with OCD. Is there a hoarder in your life who could use your help? Hoarding is an obsessive behavior that’s a threat to a person’s well-being and the health of people around them. Here’s how to help a hoarder overcome their habit. Symptoms of Hoarding:Do You Have a Compulsive Habit of Collecting Things? Are you looking for information on the signs and symptoms of hoarding to help identify if a loved one needs help for this mental illness? Read this article to find out if someone you know needs help for his or her behavior of excessive collection of items. News programs and television shows have explored the habits of hoarders, or people who excessively collect useless or hazardous items. What exactly is hoarding, and is it a disorder itself or a symptom of another condition? 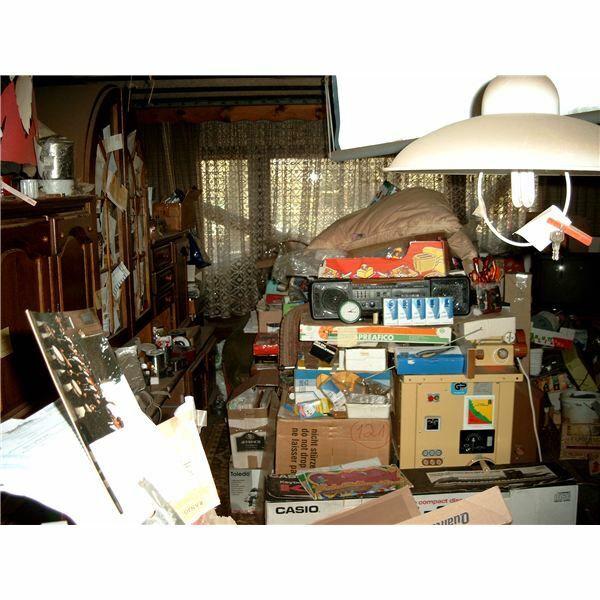 Continue reading for a detailed explanation of the psychology of hoarding. Some children can seem like born perfectionists, needing to constantly achieve a perfect outcome. While parents may wish their children paid this much attention to detail, this behavior can signal a disorder. Read this article to learn signs of obsessive compulsive personality disorder in children. Preoccupation with rules and order, a perfectionism that causes interference in task completion, excessive devotion to work at the cost of close relationships are some of the symptoms of OCPD. Here we take a look at a few causes of obsessive compulsive personality disorder or OCPD.